Bird Key real estate and homes are within an enclave of approximately 500 single family homes. Many premier Bird Key properties include docks for large boats offering resident boaters access to the intracoastal as well as the Gulf of Mexico. If you are searching for a waterfront home in Sarasota Florida, Bird Key real estate is a good place to start your search. 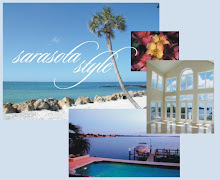 The Sarasota MLS currently lists 50 homes for sale in Bird Key. Prices range from a $599,000 house built in 1961 and needing some remodeling to a $14,900,000 majestic Mediterranean estate built on 1 1/2 lots. There is 300 plus feet of seawall with spectacular open Bay views of downtown Sarasota and the Ringling and Siesta Key Bridges from this home. Bring your yacht! We will be happy to send you information on Bird Keys' finest homes as well as information about the Bird Key Yacht Club. Looking for a boating community? We can provide all of the information needed before purchasing Bird Key Real Estate. Make that call today if you think it's Time to Buy Sarasota! For all your Sarasota real estate needs, contact Annette Smith or John Allen at Allen Real Estate Services, Inc.